It's that time of year again, my inner goth is calling out, yes it's halloween! It's one of my favourite times of year, where you can get away with eating your entire body's worth of sweets whilst peeping from behind your pillow during horror film marathons. However, the best part of halloween, for me, has to be deciding on and creating the perfect costume. 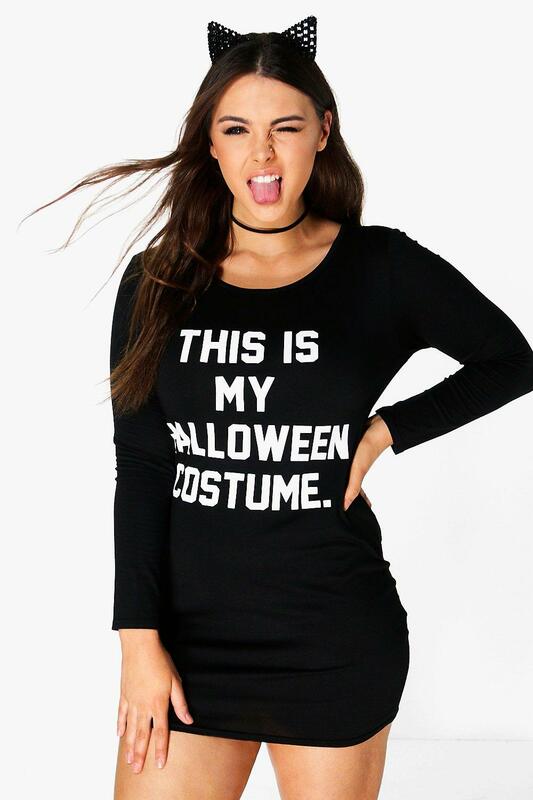 Over the past few years I have noticed the way in which brands have embraced a more fashion forward approach to halloween. I love this direction they are taking, they are making more creative, better quality garments that are great to wear as part of a costume and can even be worn throughout the year! I am obsessed with this unitard! It's one of the more expensive pieces of my picks at £45 but with some creative skull makeup this would be one hell of a halloween look! This cute little number is one of those items that can be worn throughout the year but it's also great if you want to go for a more subtle halloween outfit. I am loving all things mesh at the moment and this dress is just perfect! The metallic skeleton print really catches your eye. If your brave you can wear it with just a leotard or bodysuit underneath but it would also look great on top of a skirt or pair of leggings. Go post modern with this quirky, minimal slogan dress from BooHoo and at £10 it's a bargain! These leggings are adorable and at £8 whats not to like about them! You can pair these with a skeleton top or the Missguided skeleton mesh dress. With some creepy makeup and a flower crown this could be a cute yet terrifying look. So that's it, my top clothing picks for this years halloween, what are your favourite halloween inspired garments? I am looking forward to seeing everyones outfits! I love this post, as some of the things is just a all year round outfit for me haha!